Gulet Queen of Adriatic is an excellent choice for your Croatian gulet holiday! 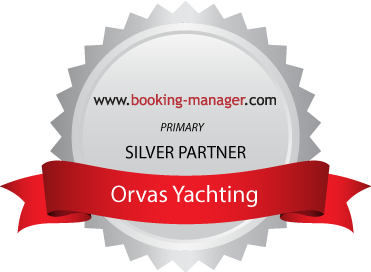 Built in 2008, she is an ideal for sailing along the Dalmatian coast and islands. Home port of this gulet (and place where you will mostly embark it when going from Split area) is in Kaštilac which was originally built as a fortress of a Benedictine Monastery in 16th century. This is also the place where one of the scenes from Game of Thrones was filmed. Queen of Adriatic is owned and managed by captain Ante who made many improvements on this gulet that has 6 en-suite cabins (2 double, 2 twin and 2 double cabins with extra bed) that can accommodate up to 14 persons. Many water toys will ensure your active holiday, and even jet-ski can be provided upon the request. Food on Queen of Adriatic is just amazing – we know because we tried! Chef Srećko makes wonders with the food and leaves no one hungry. If you want to have a good sailing or enjoy the water sports - deckhand Goran is the one to help you. The youngest crew member – waiter Ivan is cheerful and extremely hardworking person; always on spot when you need him. So, whether your are couples, corporate clients or families, Queen of Adriatic and her crew are ready to make you happy!